Touch Win Recovery Project, or short, TWRP, has released the 2.5.0.0 version for the Galaxy S3 I9305 LTE. This is a fully touch driven Custom Recovery, very useful in case you want to install Custom ROMs, root or Mods on your device. We will guide you through the entire installation procedure, but first you need to make sure you meet the requirements. Knowing that you will have to use Odin to install this, you have to be really careful because you risk bricking your device. 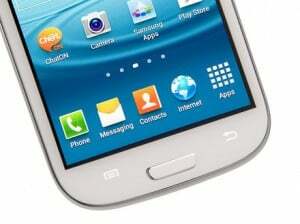 Also make sure you install this only on Galaxy S3 I9305. Samsung Kies should NOT be working while using Odin and also you have to make sure you have the USB drivers for Galaxy S3 i9305 installed on your PC. Proceed on your own risk as we are not to be held responsible for any damage. Follow the steps precisely and you should be done in 5 minutes. First download ODIN from here and extract the content of the archive into a folder. 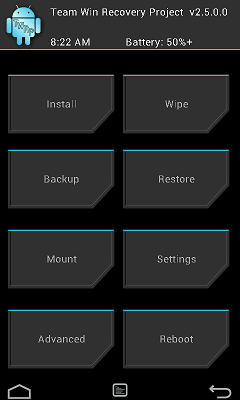 Now download openrecovery-twrp-2.5.0.0-i9305.tar from here. Start Odin. Turn off your device, and then connect it to the PC with the USB cable. Reboot in Download Mode. Press Volume Down + Home + Power in the same time. Odin should now show the yellow square in the left upper corner. This means it recognizes your device. Click on PDA in Odin, and then select openrecovery-twrp-2.5.0.0-i9305.tar from your PC. Make sure Re-partition is NOT checked in ODIN. Then press Start. Wait for Odin to finish the installation.